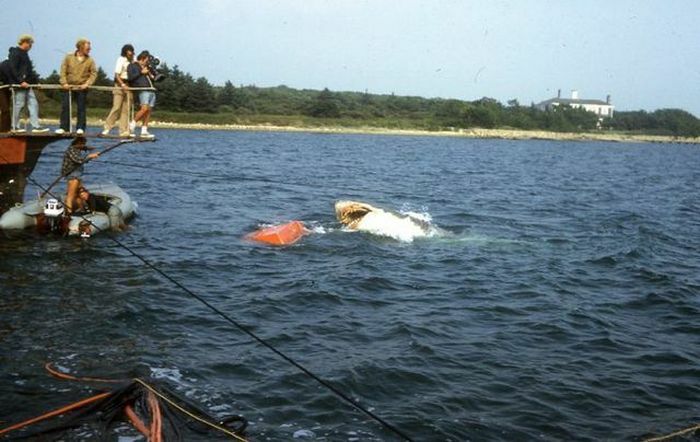 Jaws was one of the most famously difficult shoots in movie history. 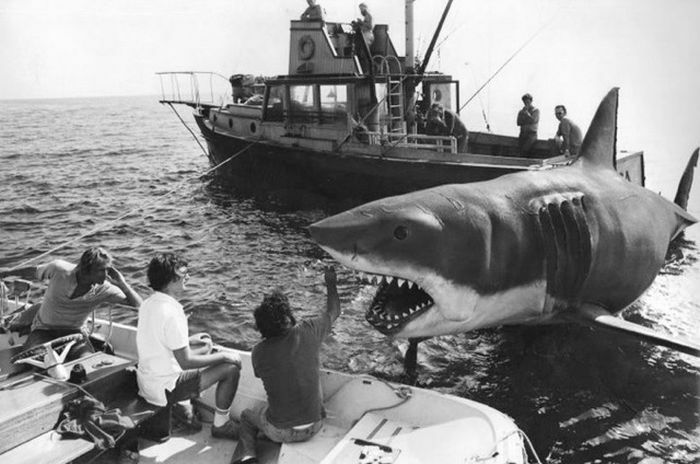 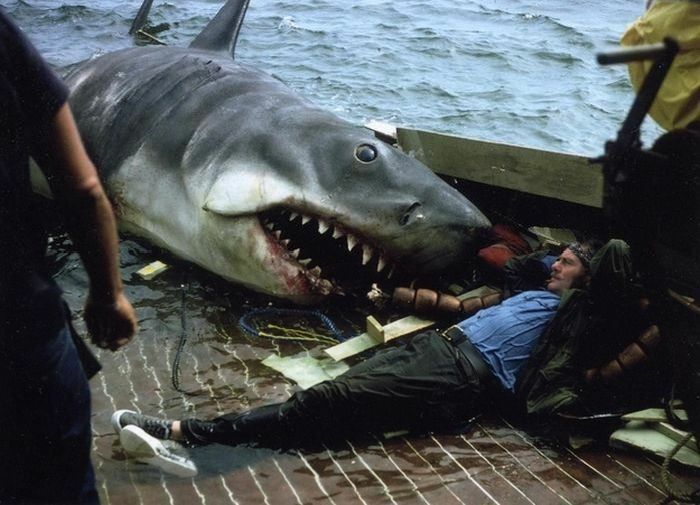 Three practical, mechanical prop sharks were built for the production — and seldom worked, prompting Steven Spielberg to show the shark as little as possible (which ultimately added to the considerable suspense) and emphasize character over effects. 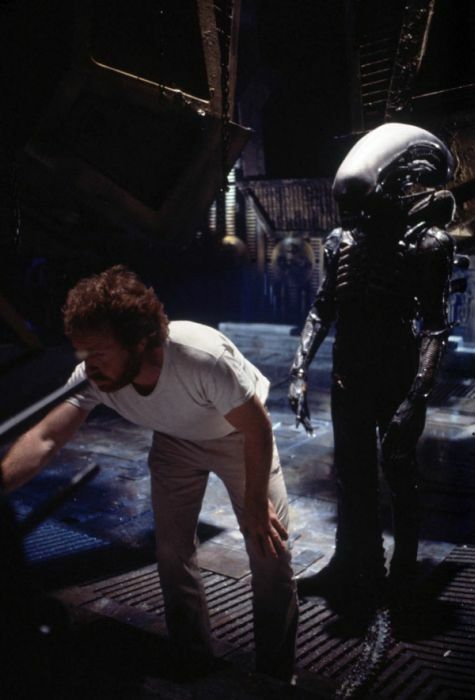 The title character in Alien was designed by surrealist artist H.R. 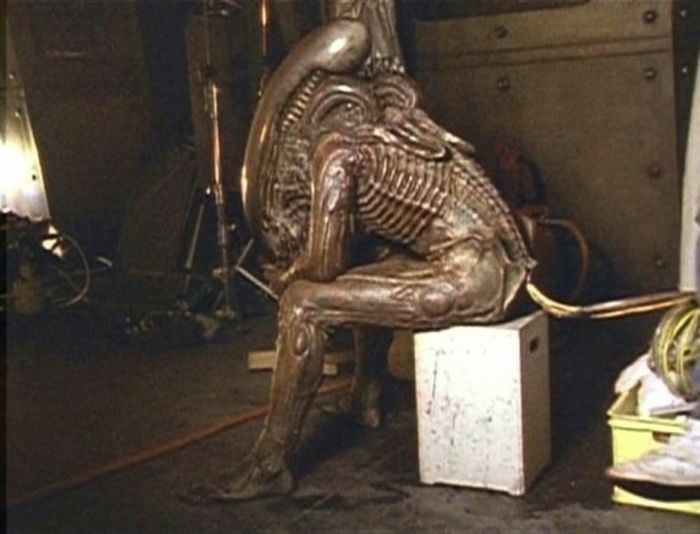 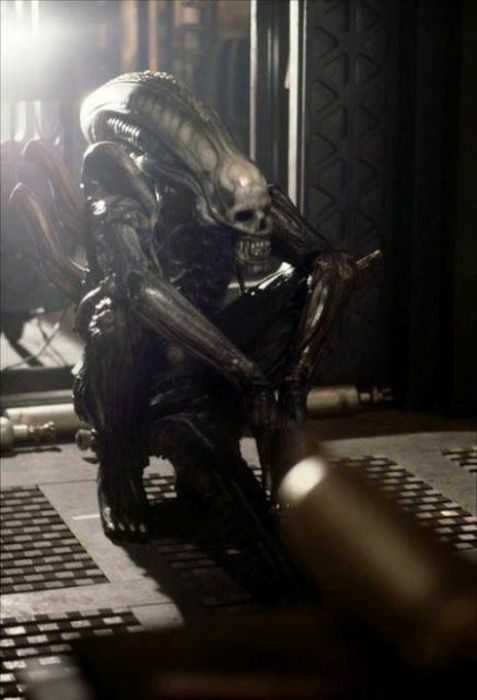 Giger; in these stills from Alien and Aliens, we’re reminded that even if you’re a guy in an alien suit, the bulk of a time on a movie set is spent sitting around and waiting. 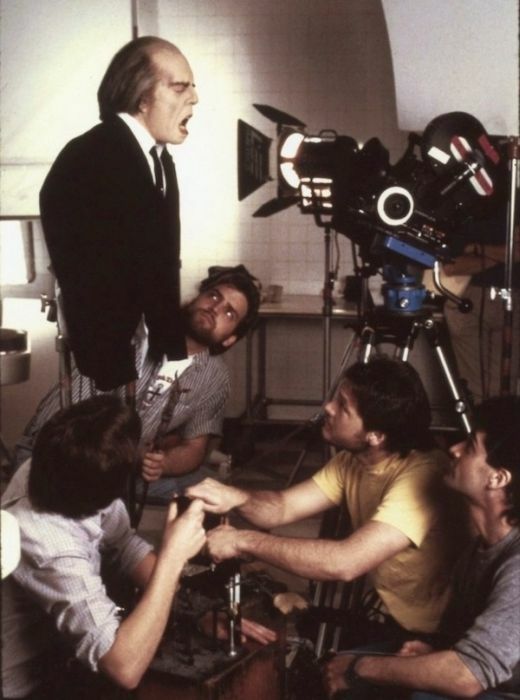 An animatronic double of Linda Blair was built for production of The Exorcist, primarily for the unforgettable “rotating head” image. 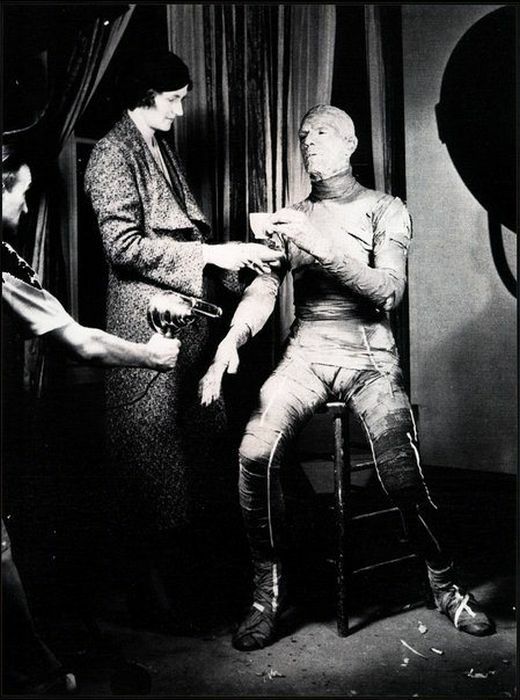 Here’s Blair hanging out on set with her robot double, like ya do. 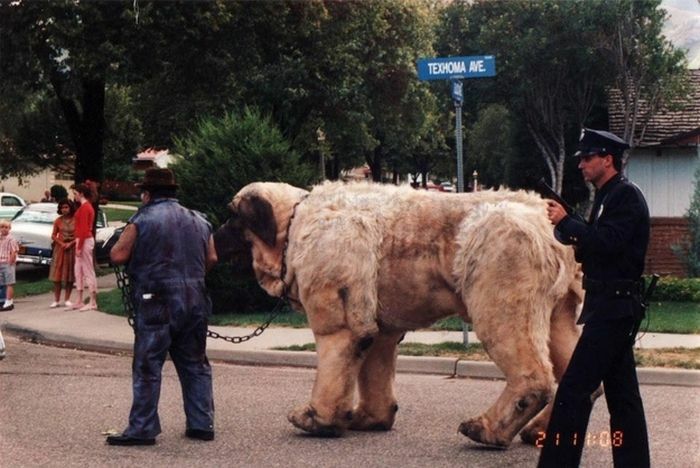 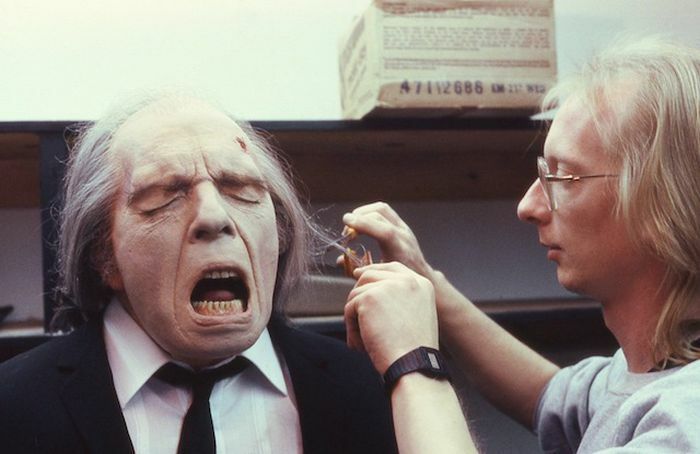 Makeup effects designer Mark Shostrom and his crew on the set of Don Coscarelli’s 1988 cult classic Phantasm II. 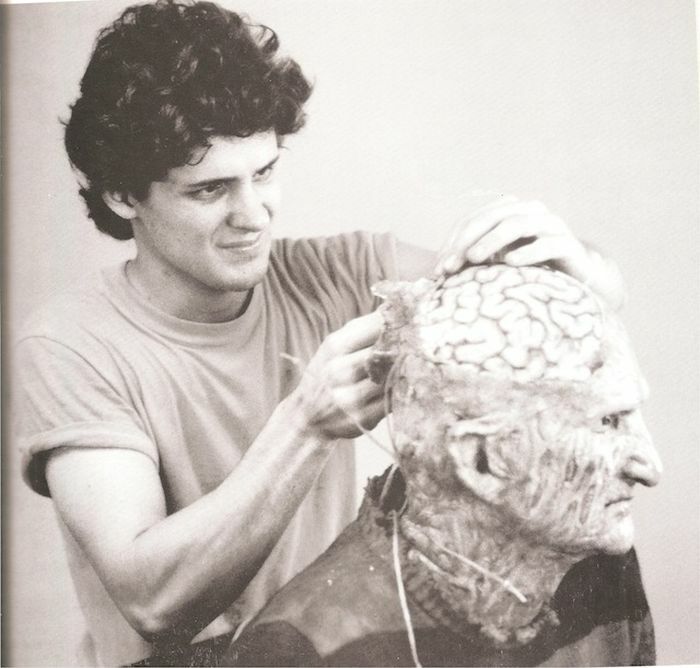 … and then not-so-carefully removed. 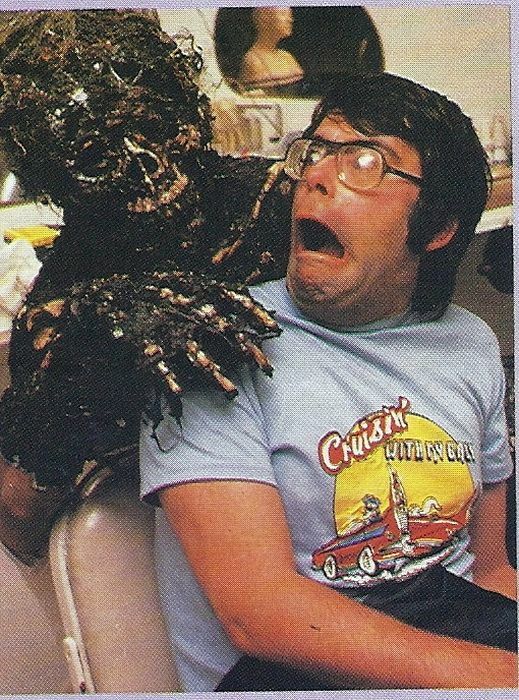 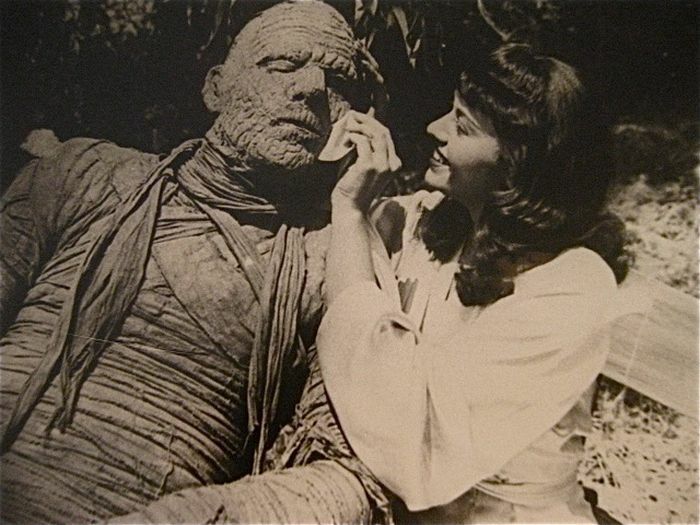 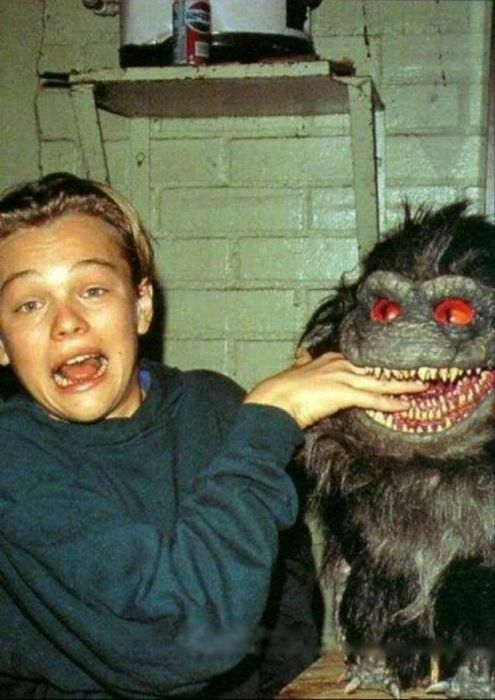 Screenwriter/co-star Stephen King makes friends on the set of Creepshow. 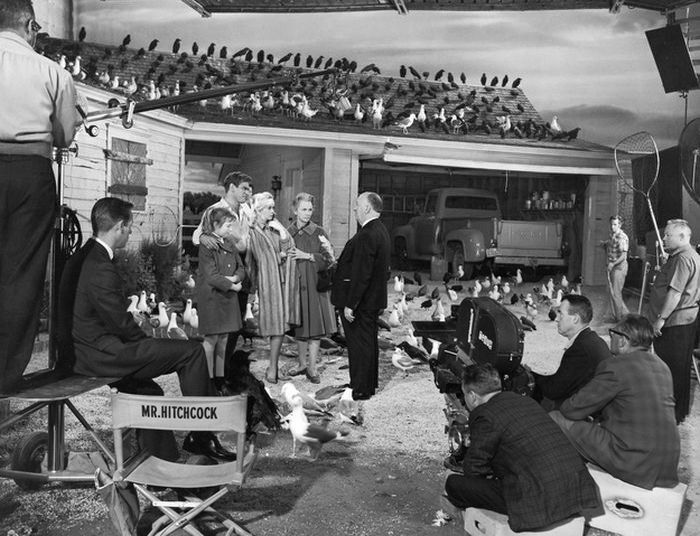 Hitchcock, cast, crew, and The Birds. 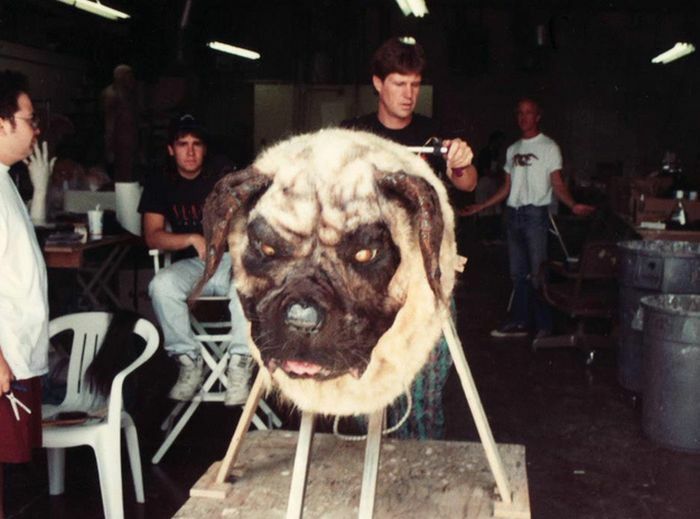 A man with a mullet manipulates Chucky on the set of Child’s Play. 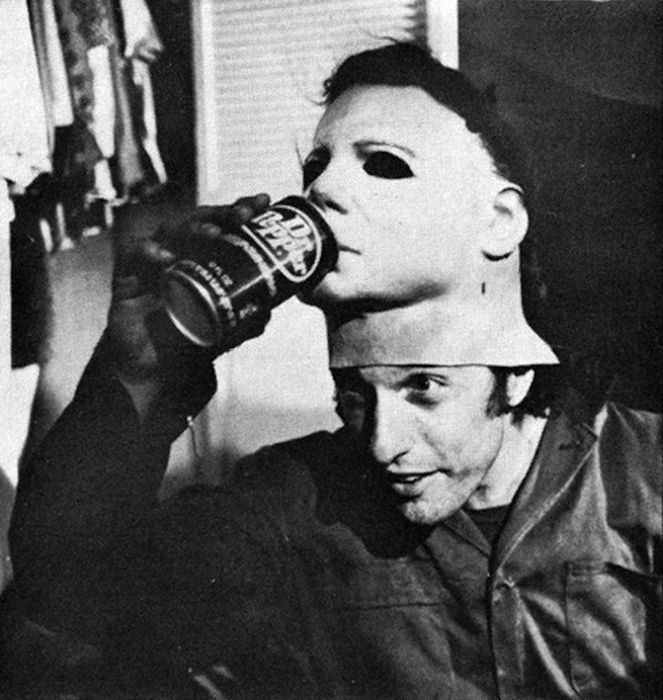 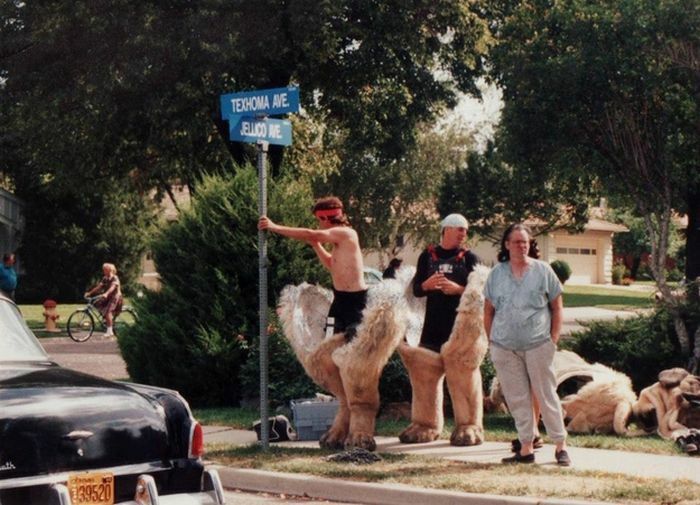 Michael Myers (played by Nick Castle, who would go on to direct The Last Starfighter and Dennis the Menace) gets parched on the set of the original Halloween. 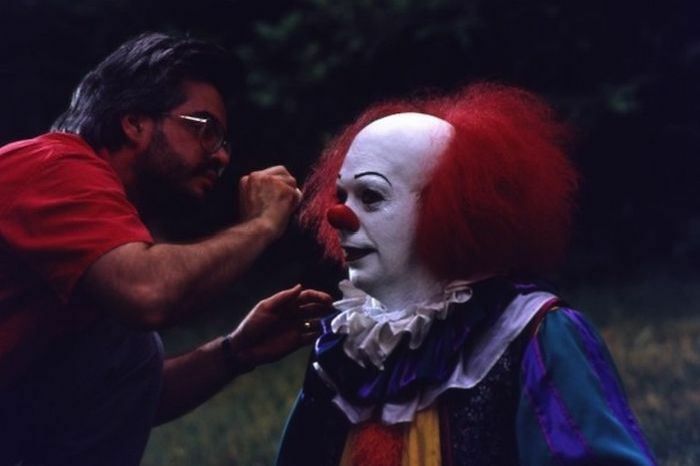 Pennywise (Tim Curry) gets a touch-up on his terrifying clown makeup for It. 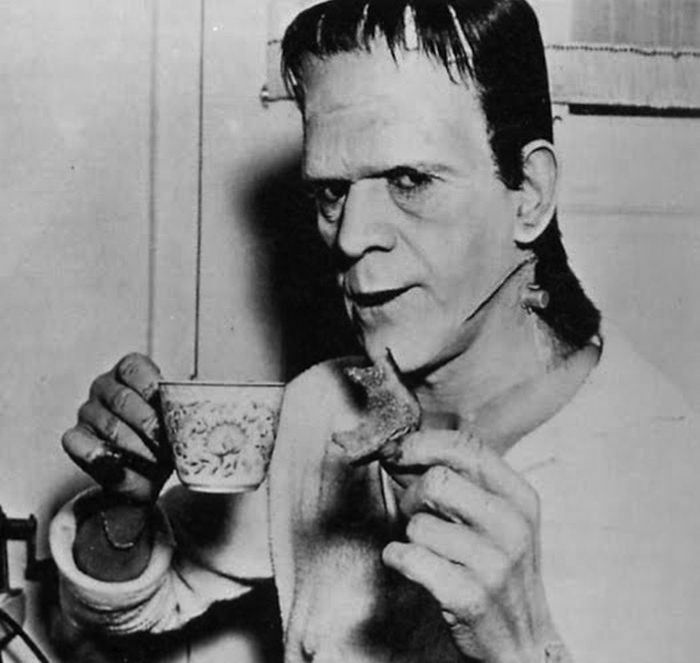 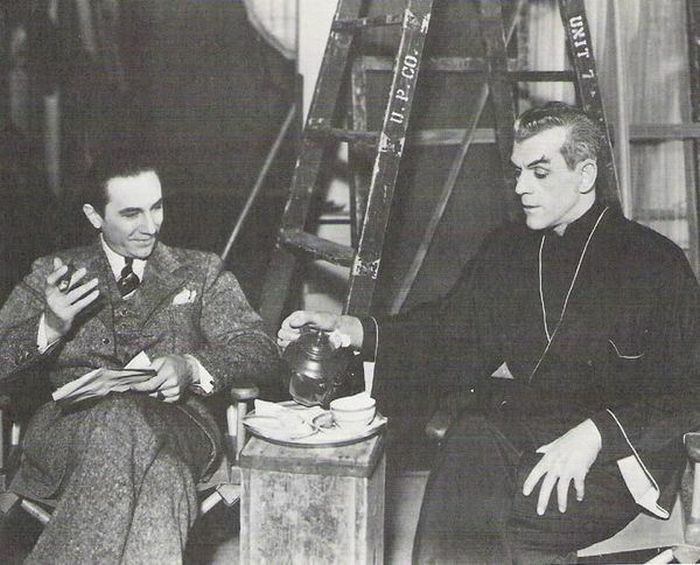 … and in this image of Karloff and occasional co-star, occasional rival Bela Lugosi on the set of their 1934 team-up The Black Cat. 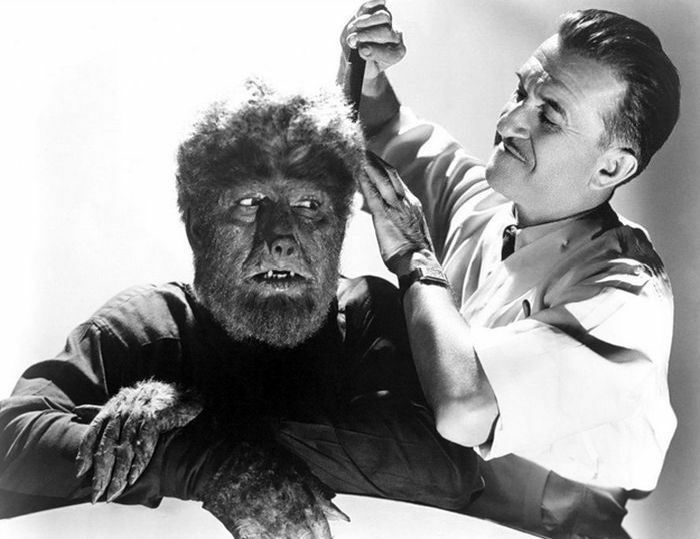 Hair mats: occupational hazards of being The Wolf Man. 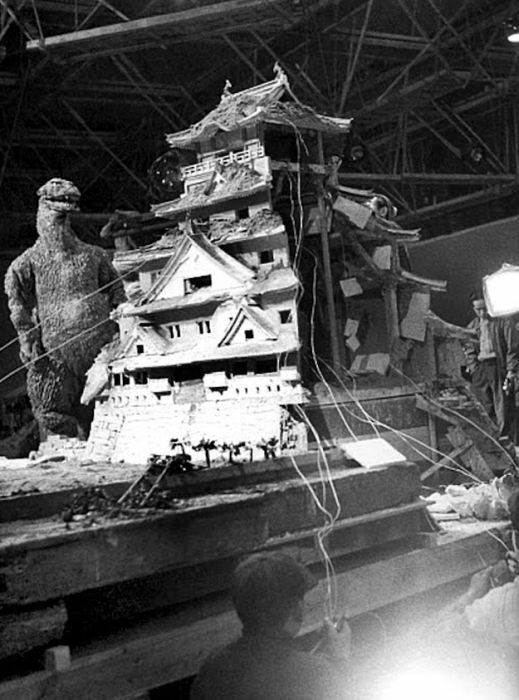 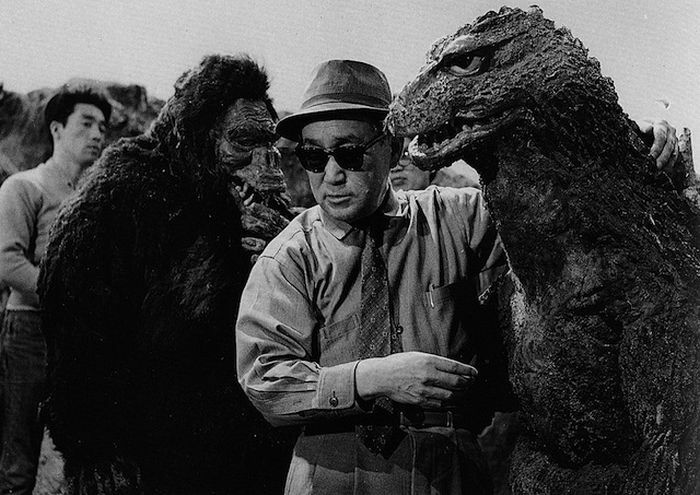 Toho Studios effects director Eiji Tsuburaya on the set of Kingu Kongu tai Gojira, aka King Kong vs. Godzilla. 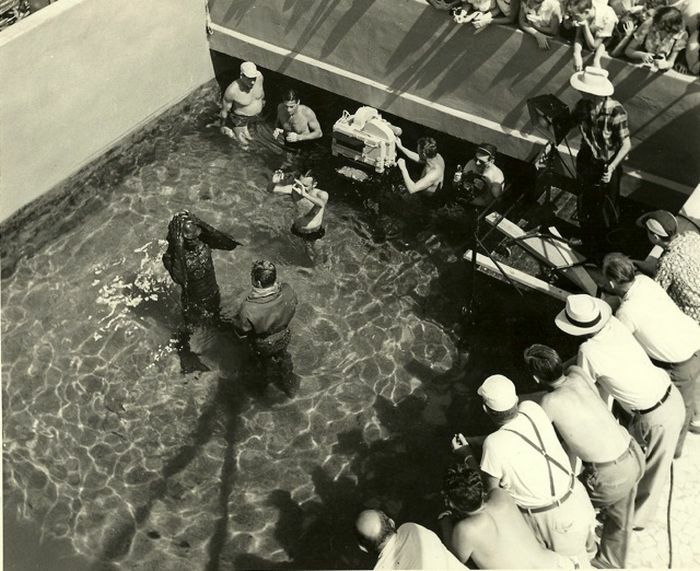 Sophisticated underwater photography for Revenge of the Creature (Clint Eastwood’s film debut!). 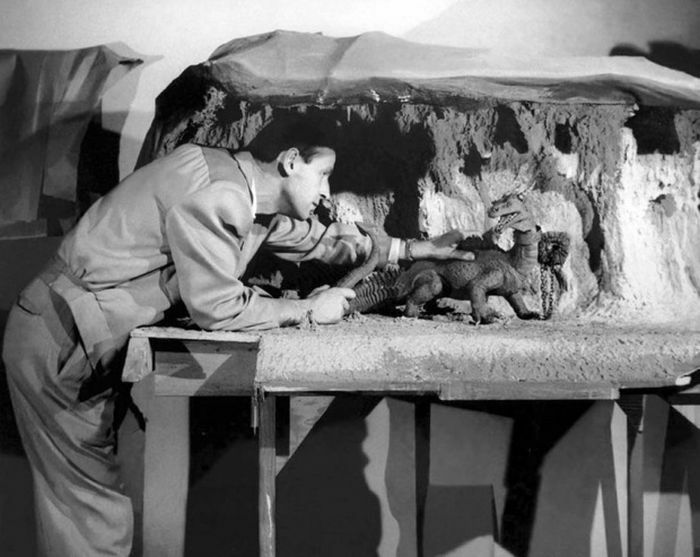 The great Ray Harryhausen manipulating a stop-motion dragon for The 7th Voyage of Sinbad. 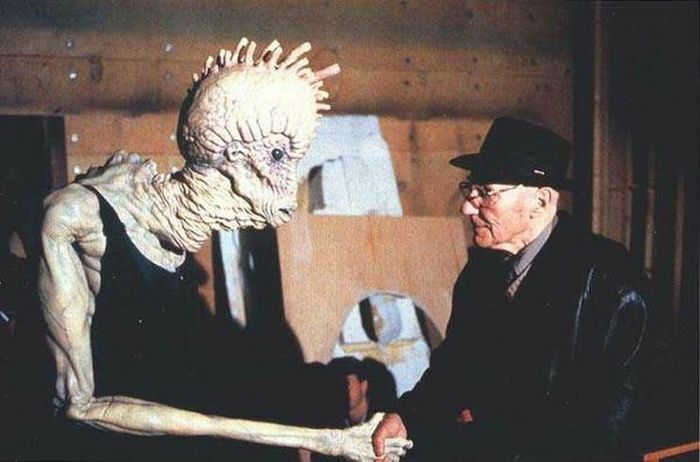 William S. Burroughs meeting a Mugwump on the set of David Cronenberg’s Naked Lunch adaptation.